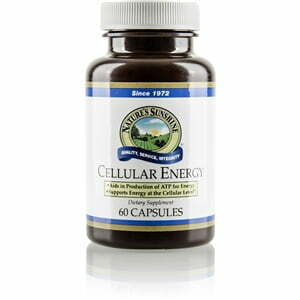 Nature’s Sunshine Cellular Energy contains vitamins, minerals, amino acids and other co-factors that assist a healthy metabolism and the body’s production of energy. 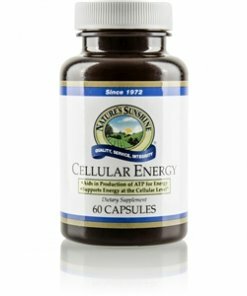 Cellular Energy is just what’s needed for an energy boost during a dragging work day, or for clearing up that fatigue after a strenuous activity. Nature’s Sunshine Cellular energy contains B vitamins, vitamin E, niacin, pantothenic acid, zinc and manganese, plus ferulic acid, alpha lipoic acid, alpha-ketoglutaric acid, L-carnitine, coenzyme-Q10, and dimethyl glycine. Cellulose (plant fiber), di-calcium phosphate, magnesium stearate (vegetable), silicon dioxide (powdered silica), gelatin, and water.